A New Kitchen Faucet Could Help Save a Life! We have teamed up with Grohe and registered to be an official “Hope Flows” showroom. Together, Details and GROHE are proud to support The Breast Cancer Research Foundation® (BCRF) — where a minimum of 85 cents of every dollar goes toward funding the most advanced and promising breast cancer research across the globe. 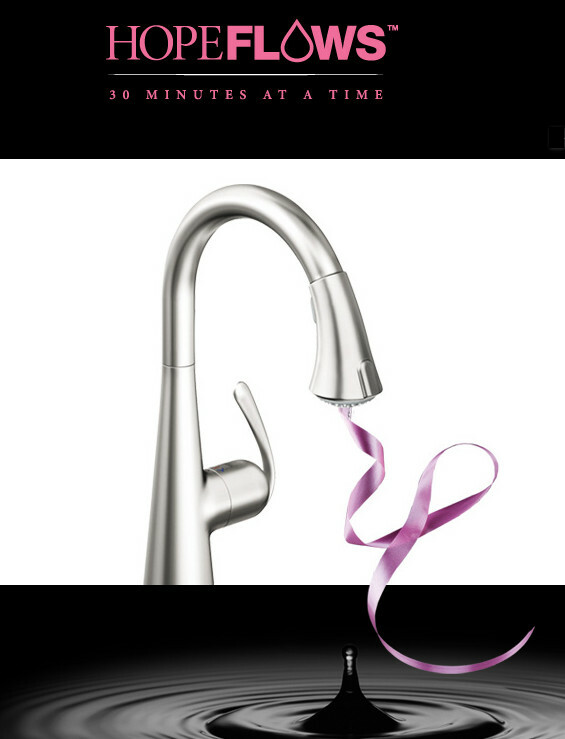 When you buy a Ladylux3 Café Kitchen Faucet or Ladylux3 Plus Kitchen Faucet, $25 from your purchase sponsors 30 minutes of hope in the form of vital BCRF research. In addition, purchases of the pink Rainshower Icon hand shower will sponsor an additional $10. GROHE’s goal is to raise $250,000 — enough to fund a breast cancer research project for one year. So, if you have a new kitchen faucet on your “to buy” list… please consider these two options. Click here to learn more about The Breast Cancer Research Foundation® (BCRF).